This Best Western promo code offers 20% off the best available rates when you pay with a Visa card. 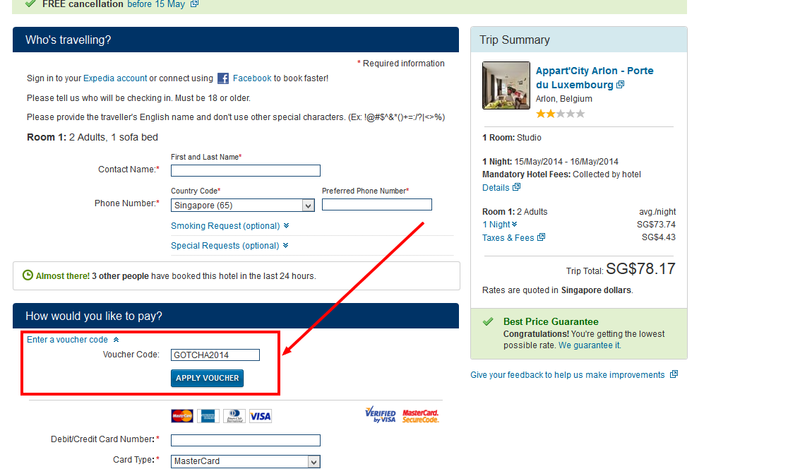 Once the room rates are shown, look for the "Visa card special promotion" rate. For payment with your Visa credit card, you benefit from 25% discount off the bed and breakfast rates. In addition, most of the properties will also offer a free upgrade. As with any coupon code, blackout dates may apply. We've compiled the list of the Park, Sleep and Fly hotel packages at the Birmingham International Airport (BHX), in the ascending orders of price (starting with the cheapest package), as we found them for a night's stay on the 7th of June 2014. Medulin is a sea-side resort located in the southern tip of the Istria peninsula, a short drive away from the beautiful town of Pula. The offer is valid at the newly renovated 4-star property Park Plaza Belvedere Medulin, part of the Radisson group. The discount is offered for stays of minimum 6 nights on a bed and breakfast of half-board basis. Book by 15 September 2014 for stays between 21 June 2014 and 18 October 2014. That would mean up to 15% discount. Click on the text codes above to start your search. The discount code is to be applied in the final page of the reservation process, in the field "Enter Coupon Code To Save On Your Booking! ", just above the credit card information. Zuji Singapore offers a 12% discount code for hotels worldwide (travel throughout 2014). The discount is valid for payments with a MasterCard. The Zuji coupon code must be applied in the payment window, in the field "Enter Coupon Code To Save On Your Booking! ", just above the credit card information. LivingSocial voucher code valid for all purchases made until 27 April 2014 (discount capped at £20). ebookers Switzerland (part of Orbitz group) offers a 15% hotel discount code for travel until 31 January 2015. For bookings and stays anytime during the year 2014, Hotels.com offers free tickets for the CitySightseeing double-decker hop-on hop-off bus tours. The deal is not valid for all properties, so double-check before booking (for example, we saw that it is not valid for the Howard Johnson San Antonio Downtown). Here you have the listing of the Park, Sleep and Fly hotel packages at the London Luton Airport (LTN), in the ascending orders of price (starting with the cheapest package), as we found them for a night's stay on the 17th of May 2014. This is a deal that offers the best price at this property (the former Hilton Las Vegas). Discounted rooms at the LVH are sold by TravelPony, an online hotel discounter. Prices are usually approximately 30% less compared to what you can buy at the big online travel agencies. In addition, if your total purchase exceeds 250$, you can use the promo code 25OFF, to get a further 25$ discount. ebookers Switzerland (part of Orbitz group) offers a 100 CHF discount code for flight + hotel packages, for travel until 21 January 2015. A minimum 3 night stay is required to benefit from this offer. A special offer at more than 50 resorts worldwide, for stays between 20 April and 12 June 2014. The discount is valid for stays any day of the week at resorts in the Caribbean and Hawaii, and for stays from Sunday to Thursday at resorts in Continental US, Europe and Asia. This special rate will provide a 30% discount off the standard flexible rate. New York Hilton Midtown is a 4-star property located ideally for those visiting the Big Apple (10 minutes walk from Central Park or Times Square). - free bottled water in room. 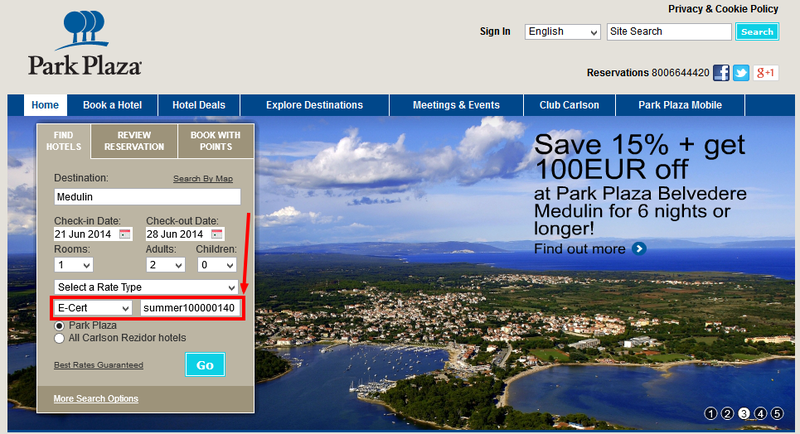 On top of the regular points for the stay, add the free 10 000 HHonors points, and you get a really good deal. This number of points are sufficient for a free night at certain properties (for example, we stayed at the DoubleTree in Bratislava for 10 000 points per night).